Polis is a collective blog about cities worldwide. As a volunteer effort in support of public dialog, it features eclectic content that integrates theory and practice, observation and engagement, research and development, critique and creativity. We welcome submissions from experts and enthusiasts alike. To stay informed of new posts, you can subscribe to the RSS feed or email list. We can also be found on Twitter and Flickr. Please send any questions or comments to info@thepolisblog.org. Hector Fernando Burga was born in Lima, Peru, and currently lives in Berkeley, California. He is a doctoral candidate in the Department of City and Regional Planning at UC Berkeley and a former graduate fellow at the Center for Research on Social Change. An architect and urban designer by training, his research focuses on metropolitan Miami, where he investigates how empowered immigrant communities challenge institutional planning practices through material, legal and cultural claims to the city. These interrogations are framed by an understanding of critical urban theory, ethnographic methods and professional practice. He is a co-founder of the Design Justice Hub, a project drawing from the fields of urban studies, planning, policy, ethnic studies and design to develop research-oriented initiatives that confront social and racial inequality in the built environment. Min Li Chan is from Kuala Lumpur, Malaysia, and has most recently lived in Hong Kong, New York and San Francisco. She is perennially fascinated by the intersection of technology, entrepreneurship, public policy, international development, anthropology and design. Upon graduating from Stanford University in electrical engineering, Min Li joined Google and began working with urban NGOs across the Asia-Pacific region on technological development initiatives. Previously, Min Li contributed to Innovate, a podcast on innovation and entrepreneurship, and Solutions Magazine, a publication on social entrepreneurship. When not traveling and observing the way people use technology, she enjoys playing music, photographing urban spaces and people, and connecting with fellow global nomads. Natalia Echeverri was born in New York City and grew up in Bogota, Colombia. She is an architect and lecturer in the urban design program at the University of Hong Kong. She received a master’s degree in architecture and city planning from the University of California, Berkeley, where she was awarded the J.K. Branner Traveling Fellowship to research the impact of financial speculation in cities at the onset of the 2008 global economic crisis. Her current research centers on the consequences of urban transformation occurring at an unprecedented pace and scale in Asia. Before joining the University of Hong Kong faculty, Natalia developed an architecture, urban design and landscape architecture practice that continues to take on interdisciplinary projects. Melanie Friedrichs grew up outside Washington, D.C., and graduated from Brown University in 2012 with a degree in economics. Her interest in cities stems from a comparative study-abroad program on urban issues in New York, Delhi, Dakar and Buenos Aires. She joined the first class of Venture for America fellows after graduating and will spend her next two years working on urban revitalization through entrepreneurship in low-income areas. She has a strong interest in social enterprise and its intersection with community development, and in the role of institutional change in economic growth. She is also an avid ultimate frisbee player. Anna Fogel works for ShoreBank International, an international consulting firm in Washington, D.C., that works to expand access to finance. She focuses on microfinance, housing finance and small-business finance. As a Trustman Traveling Fellow, she studied low-income housing development in India and Israel for a year. She spent six months in India evaluating the design and financing of slum redevelopment programs. She then worked on community participation in planning initiatives in Jaffa, Israel. She returned to the United States to work on Obama’s campaign in Youngstown, Ohio, where she witnessed a rustbelt city’s housing challenges. She worked with housing advocacy organizations in New York, Boston and D.C. while earning her bachelor's degree at Harvard College, where she wrote a thesis on the design of a low-rise, high-density housing project in Brooklyn. Tere García Alcaraz is an architect and development practitioner from Catalonia, with a focus on community planning in informal settlements. She studied architecture at the Polytechnic University of Catalonia and, after several years of working in Barcelona, continued her architectural studies at London Metropolitan University. Fascinated by cities and their cultures and people, Tere researches gaps between the formal and informal in urban environments. She specializes in participatory planning and design, slum-upgrading and diversity in the built environment. 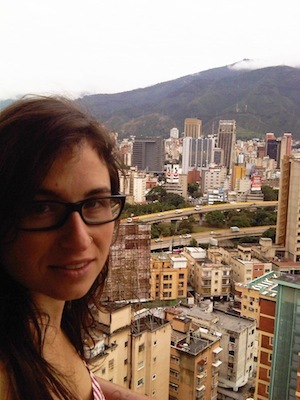 She has worked on research projects in Spain, Venezuela and the United Kingdom. Tere is also a member of L.P.U., and the author of Train of Thought. Melissa García Lamarca spent her formative years in Mexico City, which subconsciously piqued her fascination with cities — especially issues of space, place, community, social change and sustainability. She explored these themes through studies in geography, economics, development and urban design. Melissa has grown up a nomad, working and living in many places around the world. Her longest stay was in Montreal, where she worked on sustainability issues at Concordia University, and with Sustainability Solutions Group, a consulting cooperative that helps create sustainable institutions and places. She served as a traveling faculty member for the International Honors Program in 2011, and as a teaching fellow at the UCL Development Planning Unit in 2012. She is currently a doctoral student at the University of Manchester School of Environment and Development, studying the institutionalization of insurgent claims in urban development. Rebecka Gordan is a journalist focusing on the social aspects of architecture, design and city planning. She is an editor and reporter at Arkitekten, the journal of the Swedish Association of Architects, and editor for New Urban Topologies, an international urban exchange project. She is the author of a forthcoming book on informal housing in India. Previously, Rebecka was assistant editor at The Architect’s Newspaper in New York City, and a contributor to the 2010 yearbook of the Swedish Museum of Architecture. She completed her bachelor’s degree in modern urban history, followed by a master’s in journalism, at Stockholm University. Ali Madad is a designer, writer, educator and principal at SCTY, a multi-disciplinary art and design practice based in New York and Los Angeles. His work focuses on the theoretical and practical roles of design in culture and public space. He has been an assistant professor of communication design at Pratt Institute since 2004, and was a visiting artist at Cooper Union in 2009. 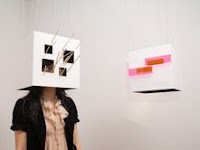 Vivien Park is a Hong Kong-born, Chicago-based installation and new-media artist. After working for several years as an interaction and graphic designer in Seattle, Vivien completed her master’s degree in painting and drawing at the School of the Art Institute of Chicago. Fascinated by topology, place and non-place, she explores these ideas in site-specific installations that draw references from architecture, construction materials and her experience in the tech industry. Vivien exhibits her artwork in group and solo shows. She also VJs for electronic music shows under the pseudonym gravitymax. Jordi Sánchez-Cuenca is a Spanish urban planner, trained in Barcelona’s School of Architecture and London’s Development Planning Unit. He has lived and worked in Barcelona, Hanoi, London, Nagercoil, Pondicherry and Palma de Mallorca, and worked in Accra, Belo Horizonte, Ho Chi Minh City, Madrid, Mumbai, Nanjing and Pune. Jordi is currently working in Quito, Ecuador, coordinating three ministries and five United Nations agencies in implementing a water and sanitation program. Jordi is a particularly stubborn supporter of participatory democracy and environmental sustainability, and he’s constantly looking for new opportunities to be challenged on these issues. 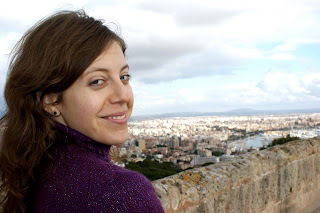 Katia Savchuk is a freelance journalist, photographer and Fellow at the Stabile Center for Investigative Journalism at Columbia University, where she is a graduate student. Previously, she spent a year and a half as a consultant for the Mumbai affiliate of Shack/Slum Dwellers International and worked as a private investigator on due-diligence, anti-corruption and litigation-related investigations around the world. Her writing has appeared in The Guardian, City Limits and PBS MediaShift. She received a B.A. in social studies from Harvard and an M.Sc. in urbanisation and development from the London School of Economics and Political Science. Follow her on Twitter @katiasav. 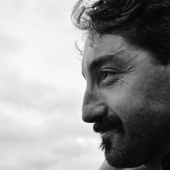 Alex Schafran is a planner, urbanist and geographer based in Paris. He recently completed a doctorate in city and regional planning at UC Berkeley and now teaches urban studies and geography at two universities in Paris. His research focuses on the transformation of French and American suburbs. A full collection of his publications and other work is available at alexschafran.com. Peter Sigrist is a doctoral student in city and regional planning at Cornell University. He is working on a historical study of shared space around apartment buildings in Moscow. His interests include adaptive reuse, housing, art, horticulture and walking around in cities. Cristiana Strava was born and raised in Romania. After studying anthropology and visual and environmental studies at Harvard, she was awarded a Michael Rockefeller Fellowship to travel to Morocco, where she worked with the Moroccan Energy Ministry to document the potential for solar-powered architecture in the Middle Atlas region. She also studied vernacular architecture and sustainable building techniques. Cristiana is a budding audio-visual artist who has filmed and produced videos on community adaptation to climate change and representation of the exotic “other.” She is also a doctoral student at the School of Oriental and African Studies, University of London, where she explores new methodological tools for a phenomenological approach to slum redevelopment. Andrew Wade is a faculty member for the International Honors Program “Cities in the 21st Century” — a comparative cities course that critically investigates urban issues in New Orleans, São Paulo, Cape Town and Hanoi. His research addresses the spatial consequences of development and planning policy, as well as unconventional applications of design thinking. He has consulted for the strategy and design practice 00:/ in London and authored a case study on sustainable housing for the United Nations Environment Programme. He completed his education at the McGill University School of Architecture and the UCL Development Planning Unit. He is now based in New York City. Follow him on Twitter @taylorwade. Submissions should relate to cities, broadly speaking, and can include text images, audio, video or a combination of these. We don’t accept material that is commercial or propagandistic, or that is already online. Posts are edited for accuracy and readability. Include at least one image (with credits) and a self-description of one or two sentences. Please send submissions to info@thepolisblog.org. Last sentence in where...first sentence here at Polis. I will read you as I did with Where. Good luck! 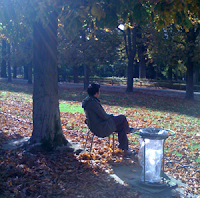 The blog looks very interesting: I will go through it deeper. very interesting topics, ideas and materials. good job! Interesting blog. I have noticed that there are no black contributors listed, though. An interesting and noteworthy absence given how differently designated black bodies are treated in urban space: from NYC's "stop and frisk" policy, to georaciality in Brazilian flavelas, to hyper-surveillance of immigrants in 'fortress Europe'. Even well-educated blacks are easily criminalized, including in the San Francisco bay area (even with elite, Berkeley educations) due to racialized associations between 'blackness' and the city/'the ghetto'/'urban' space. So it seems to me that embodied perspectives on what it means to inhabit the polis from this racial positionality would add greatly to this site. Thank you for raising this point! While we're open to contributions from anyone of any cultural background, it would be outstanding to strengthen the diversity of author-admins. We encourage anyone interested in joining this team to contact us at info@thepolisblog.org. Tenho certeza de que todo pichador deveria pagar uma multa de U$ 10 mil para ajudar a limpar a sujeira da cidade! Great to come across this blog - really interesting material from a great group of people!